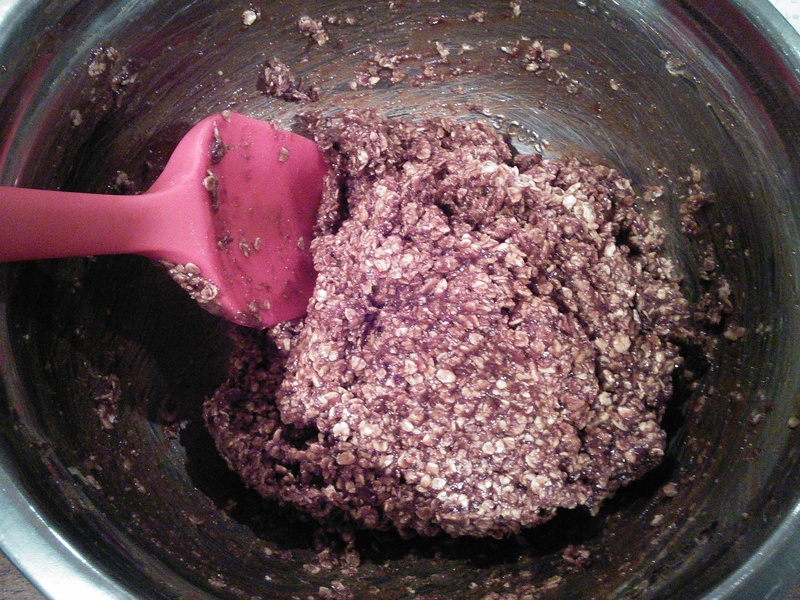 Some of my ultimate-favorite-best-cookies-ever are chocolate no bake cookies. Or, as they are called in my house, Turd Cookies. After going WFPB I went a very long time without eating any sort of sweet treats; the only times I allowed myself to have any was holidays and birthdays. Turd cookies were one of the desserts I missed the most. I was browsing plantbasedonabudget.com one day when I came across the “California Cookies” recipe. 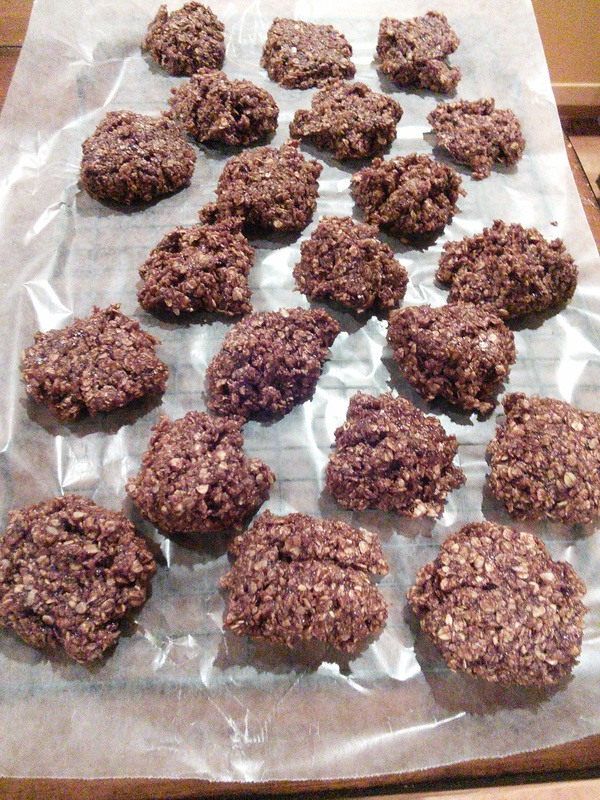 OH, THE JOY I FELT SEEING A WFPB-MODIFIED TURD COOKIE RECIPE! These are so good. They have a bit of a nuttier, chewier consistency than the non-wfpb version, but they are definitely a great replacement! 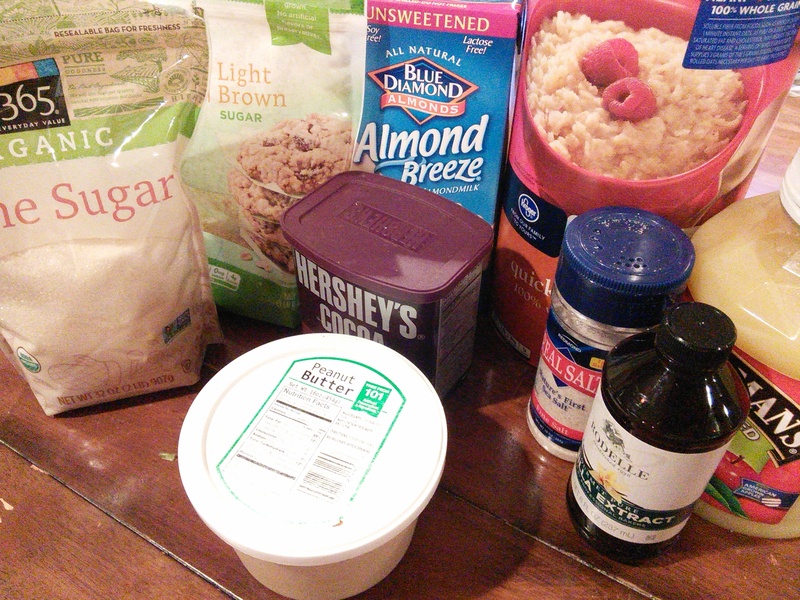 In a medium-large mixing bowl combine the oats, peanut butter, vanilla, and salt. 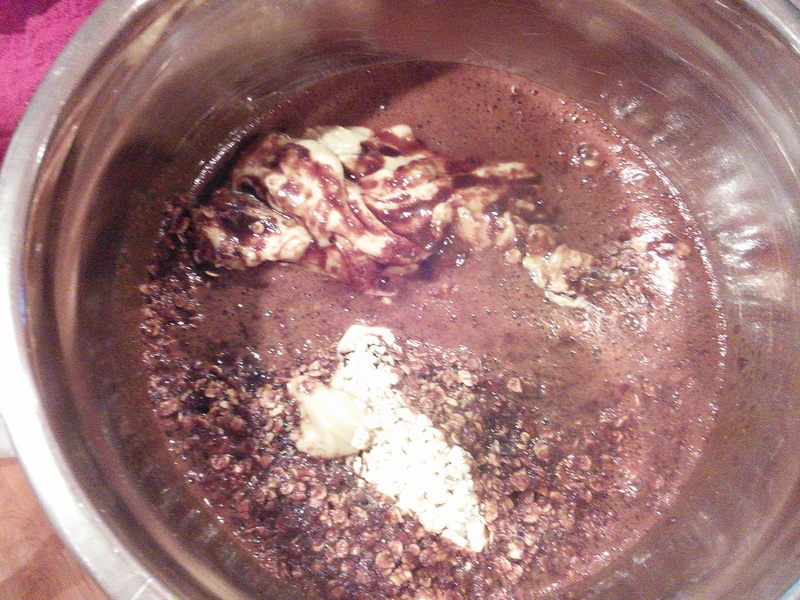 Don’t need to mix it yet. 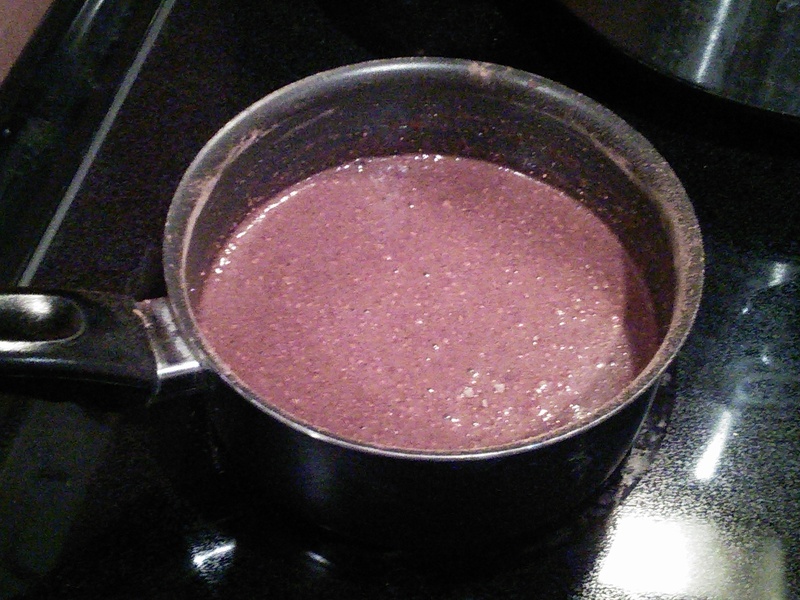 In a medium sauce pan over medium heat combined the applesauce, sugars, milk, and cocoa powder. Bring to a full rolling boil and set a timer to boil it for exactly 1 minute and 30 seconds (it is important not to overcook!). 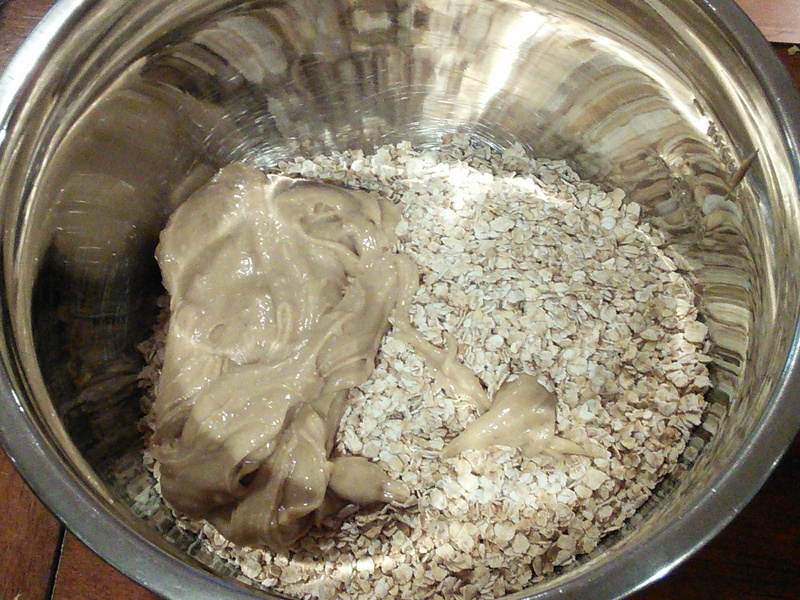 Remove from the heat and add to the peanut butter & oats mixing bowl. Mix up very well! Immediately scoop out the cookies (whatever size you want, but smaller is usually better for no-bake) onto wax paper to dry. Allow the cookies to sit and harden as they cool. Or you can be like me and start eating them as soon as they are cool enough to touch.